What’d ADV Camp Really Do For Me? I recently purchased a 2014 BMW F800GS and did not know the first thing about riding a big bike off road (let alone a big one). 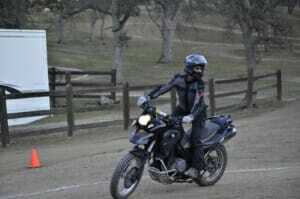 I felt I needed some professional instruction instead of just tips and pointers from fellow riders. 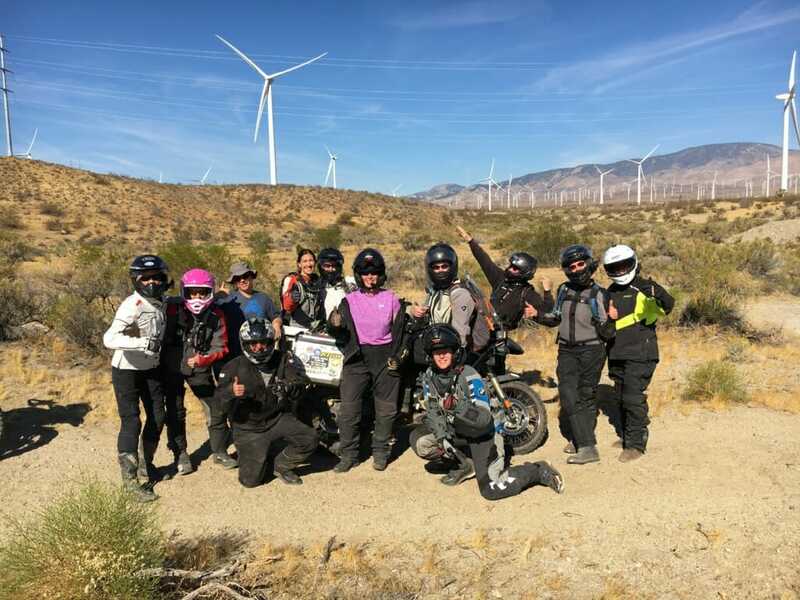 I decided to attend a women’s only Introduction to Adventure training course offered up at Rawhyde’s Off-road California facility. Rawhyde has a fleet of GS bikes to rent for the training, so I rented an F800GS from them rather than beat my own bike up. I really enjoyed this drill, it was a challenge at first to trust my balance on this big bike, but it soon came easily. To further develop balance – a key skill for handling these big bikes, we were next instructed to take one foot off a foot peg while riding slowly to get some more balance awareness, then lift the foot off the peg and rest a knee behind us on the seat…sounded a little unnerving, but it really kept me focused. One of the most important things to remember here is to keep your chin up, and eyes looking forward. Staying relaxed helps a lot as well. 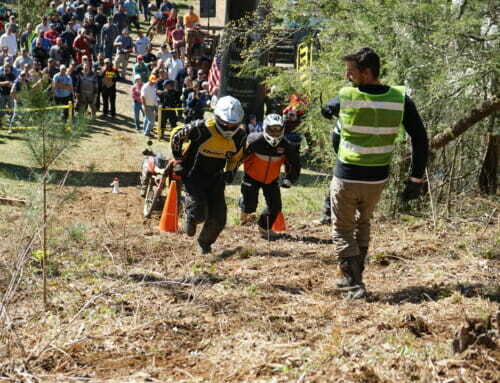 Next, we started working on body position for turning in the dirt, this for me was confusing at first, coming from a background of street bike riding where counter steering and leaning into the turns is natural to me. I needed as many tips as the instructors could throw at me to wrap my head around counter balance, and they had some great advice. They made it look so easy, but it took a bit to put it all together. 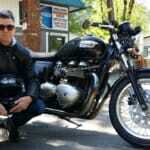 I can hardly wait for spring and summer so I can get back on the bike and practice, practice, practice. We worked on all aspects of braking…rear brake slow stops, rear brake skids, front brake stops, complete stops putting one foot on the ground and starting off again, complete on the bike stops without putting a foot down, tied together with quick right or left turns. All of these drills came into play later in the weekend. We moved on to figure eights…and I did it! I tied all those turning tips together and pulled it off, what a confidence booster! We then moved to some steep uphill climbs, slow controlled steep descents, hill stops (stopping on an uphill, putting your left foot down then starting again without spinning out and returning to the standing position, phew!). They had a short whoop-dee-doo course to get you aware of body position fore and aft to keep good traction. 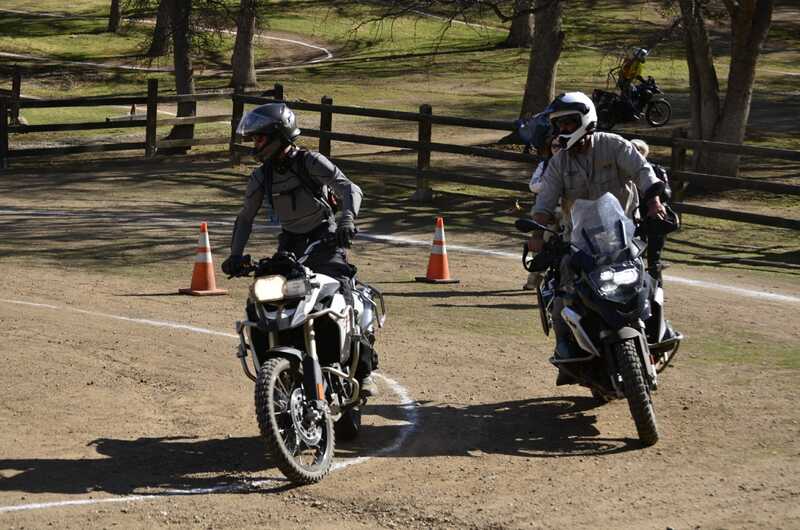 We finished our training riding through the sand pit, this took a lot of concentration and trust, eyes focused ahead at your exit point, letting the bike dance through the sand while not trying to force it to go where you wanted it to, this was challenging. The whole training was quite amazing and exhausting, both mentally and physically. I experienced a lot of adrenaline rushes as I navigated the challenges, frustrations, and many successes. 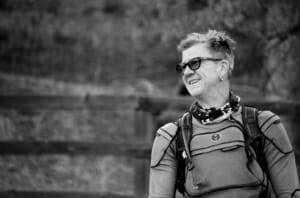 Some of the most important things I learned about riding big adventure bikes off road are: stay fit, stay focused, stay confident, and stay current (keep riding and practicing consistently to keep the skills up). This training is exactly what I was looking for in an Intro class, and the fact that it was an all women’s group was one of the best parts. The support and friendships formed will stay with me for a long time. I feel I now have a strong base of skills to build on, and a stronger desire to get out into the backcountry to some of the beautiful remote places right in our own backyard. Beth Dolos is no stranger to 2 wheels. 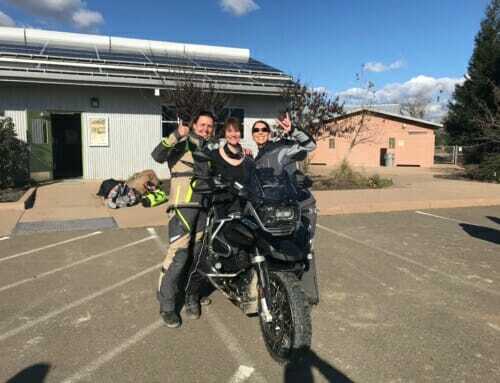 She first rode a dirt bike at age15 at a friend’s country house in Kentucky and eventually bought her first motorcycle, a 1972 BMW R60/5 from a friend in San Diego that cemented her passion for 2 wheels. Beth even enjoys 2 wheels without a motor – mountain biking, road biking, and cyclocross. 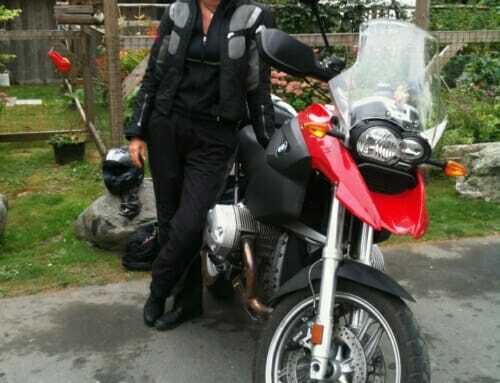 Her original moto passion developed on the street and she went on to buy several street motorbikes. 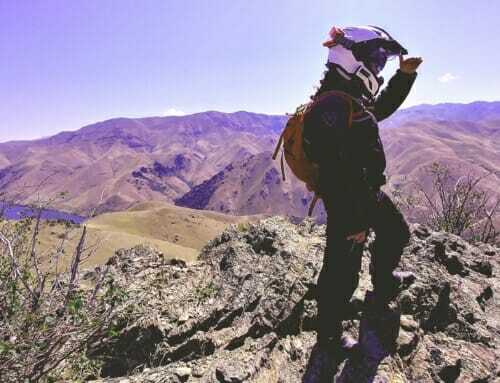 That all changed when she found out about dual sport riding in the backcountry, and her sights and ambitions changed. 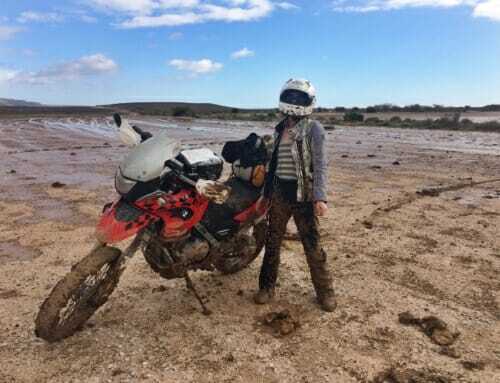 Beth is now looking to hone her off road skills so she can head out on BDRs with confidence. Behold! The SheADV Route Planning Tool! I Never Expected THIS! A story of self-discovery on the road trip from Dependence to Independence.